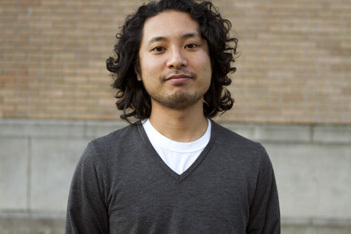 Originally from Shizuoka Japan, Takahiro Yamamoto is an artist and choreographer based in Portland. He has received support from National Performance Network, Japan Foundation, Portland Institute for Contemporary Art, Africa Contemporary Arts Consortium, danceWEB scholarship program, and others. Both of his performance productions and visual art works have been presented at GoDown Arts Centre (Nairobi), Bedlam Lowertown (St. Paul), Fresh Festival (San Francisco), Center on Contemporary Arts (Seattle), Rowan Gallery (Los Angeles), and Disjecta (Portland). As a performer, he has performed for Morgan Thorson, Xavier Le Roy, Mårten Spångberg, Keith Hennessy, Jmy James Kidd, Perseverance Theatre Company and others. He holds MFA in Visual Studies at Pacific Northwest College of Art. He co-directs a performance company madhause with Ben Evans, and a part of Portland-based support group Physical Education with Allie Hankins, keyon gaskin, and Lu Yim.